Enjoy a tour through my studio courtesy the amazing Artsy Los Angeles. 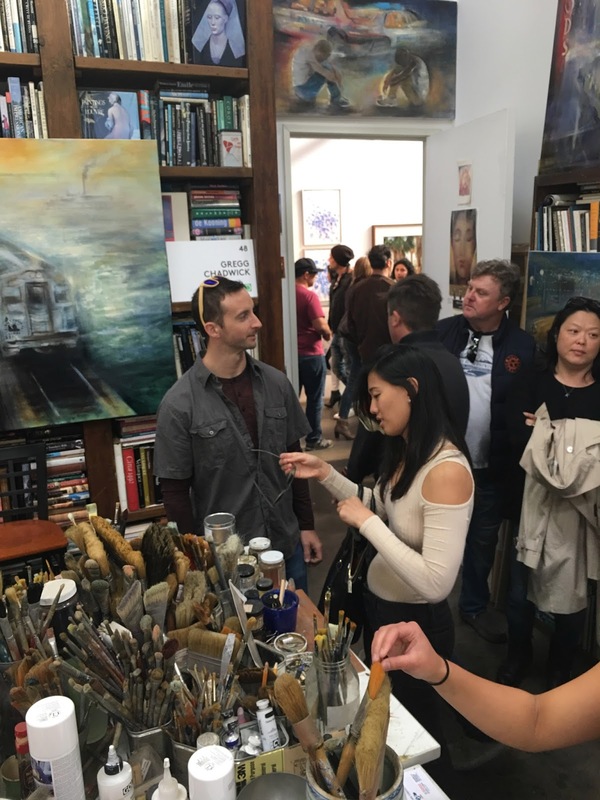 Thanks to everyone who came out yesterday for the Santa Monica Airport Artwalk! Great chatting with Ruskin theater director John Ruskin and so many more. And for all of you who attended Saatchi Art's The Other Art Fair and visited my studio yesterday, major props to you! If you missed both events and would like to spend some time with my art, please email me at greggchadwick@gmail.com and let's set up a visit. 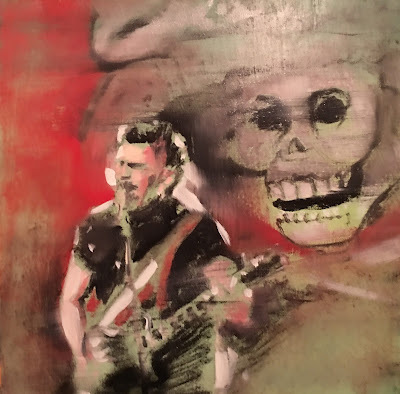 My painting Heavy Mex (Sergio Arau) carries Sergio Arau into a Los Angeles rock club where he wildly strums his fender guitar. Crossing his chest along his guitar strap is a sash in the colors of the Mexican flag commemorating Sergio's serious/not so serious campaign for the Mexican Presidency. He is the son of film director Alfonso Arau and the husband of the brilliant actress, writer, and director Yareli Arizmendi. Sergio Arau rose to prominence as a founding member of the band Botellita de Jerez formed in 1983. Sergio is best known as a film director for the films A Day Without a Mexican and Naco es Chido. Sergio is a close friend and we often speak deeply about art, love, time, and politics. I remember Sergio telling me the story of meeting the revolutionary Ché late one night in his father's Mexico City kitchen. Perhaps the Academy Award winning screenwriter, who purchased Heavy Mex at The Other Art Fair in Los Angeles in 2018, will write a film starting with that moment. 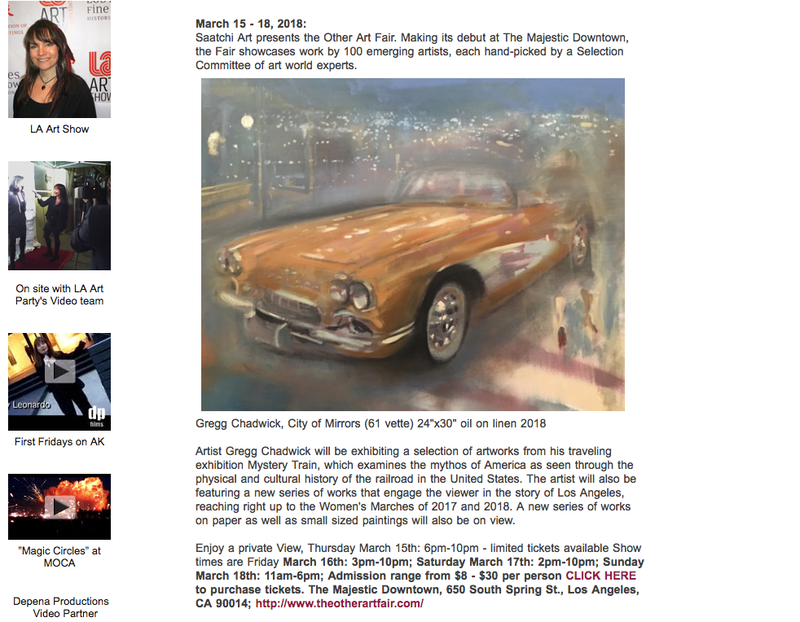 Absolutely loved showing my art at the inaugural Los Angeles edition of The Other Art Fair. The attendance was amazing. My sales were strong. Fielding follow up transactions this week. To top it all off, the TOAF staff and volunteers were amazing and the camaraderie between the exhibiting artists was exceptional. 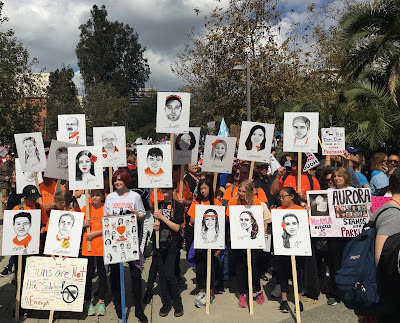 Kudos to Nicole Garton, Sophie Lucas, Ryan Stanier, Emma Warren, Briana Salatino, Gina Hewitt, et al. Next stop Chicago, Los Angeles again, and more. 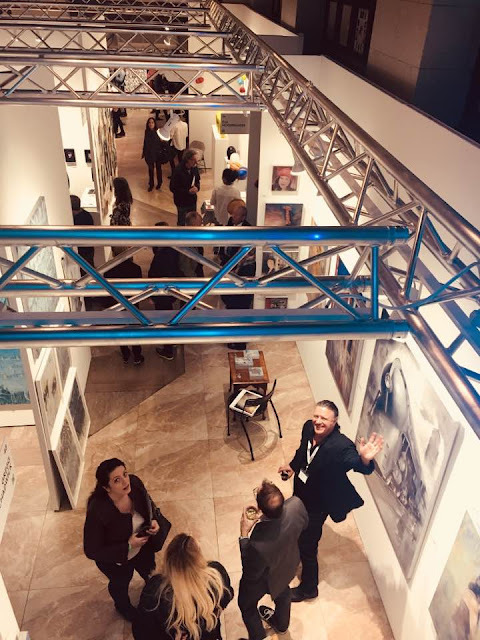 Saatchi Art's The Other Art Fair (TOAF) is artist centric and artist empowering. 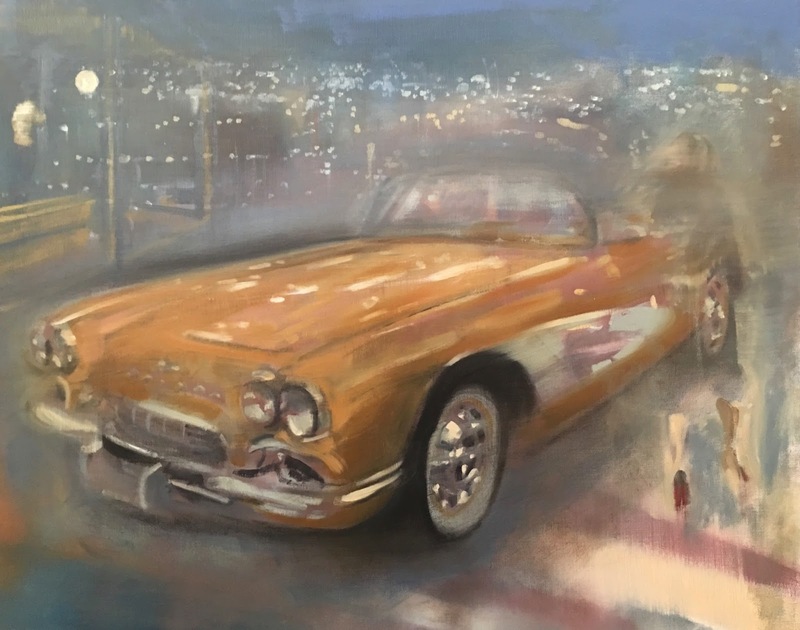 Once accepted into TOAF you become part of a global community of artists who have taken part in numerous fairs across the globe from Los Angeles, to Brooklyn, to London, to Sydney. Chicago is the next new destination. In this community, artist relationships provide important knowledge and a supportive community. As an exhibiting artist at TOAF - you make all the decisions - what work to bring, how to hang it, what price points to emphasize. The fair is professionally run and effortlessly hip. The vibe is fun and again artist centric. The combined forces of Saatchi Art and TOAF have an amazing PR engine. Visitors came to downtown Los Angeles (DTLA) in droves for the fair. It was packed and people bought art. 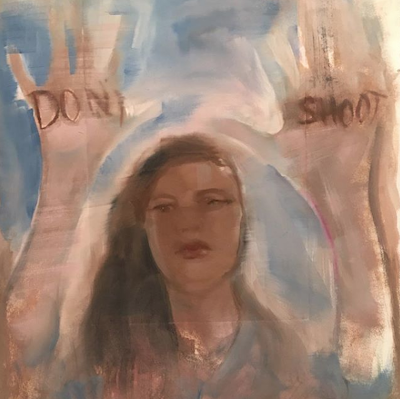 I took part in an art centered radio show today with Gwenda Joyce in which we talked about The Other Art Fair and also the stARTup Art Fair where I spoke on a panel in January. Ryan Stanier, founder & general manager of The Other Art Fair, and Ray Beldner (stARTup Art Fair founder) along with artists Dana deKalb, Gwen Samuels, and myself filled out the program. 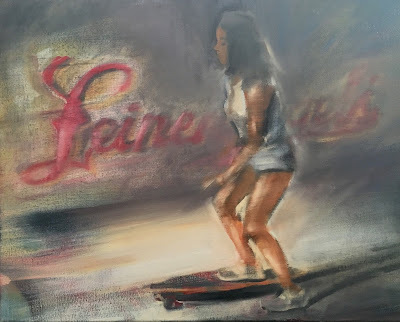 As Ray Beldner reminded us, "Art is about story." At The Other Art Fair and stARTup Art Fair, visitors are able to interact with the artists directly, share stories, and create new ones. Direct link at: The Art Ambassador . Recording will be available to listen to starting on Friday, March 21, 2018. Mystery Train at #theotherartfair Hope to see you today. Thanks to everyone for an amazing opening last night. To women thinking about working in games: We need your voice. Did you know that 47% of gamers are women and yet women only make up 22% of the game industry workforce? Runaway wants to help improve those numbers by increasing awareness of women in the industry and highlighting the incredible work they do. Excited to report that my wife MarySue's film/transmedia project will be screened on March 12 in New York City. I will be there for the screening and the events before I Jetblue it back to Los Angeles for my show at the Other Art Fair. Hope to see you in New York or L.A. As hard as it is to read the news every day, there are folks doing amazing work across the globe to help create a more equitable and diverse global environment. Deep thanks to all who are deep in the work. You inspire me daily. The Women Illuminated Film Festival showcases documentary, short, and feature-length films (such as The Mask You Live In and Miss Representation) by women filmmakers, grappling with the most pressing issues of our time. This one-day event features discussions by the creatives and experts behind the films, an award ceremony honoring leaders in the global movement to achieve gender equality, and a wine and dessert reception for fans and filmmakers alike. 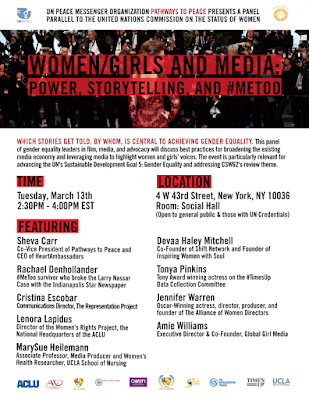 This panel of gender equality leaders in film, media, and advocacy will discuss best practices for broadening the existing media economy and leveraging media to highlight women and girls’ voices. Featured speakers include Rachael Denhollander, the #MeToo survivor who broke the Larry Nassar Case with the Indianapolis Star Newspaper; Lenora Lapidus, Director of the Women’s Rights Project at the National Headquarters of the ACLU; Tonya Pinkins, Tony Award Winner on the #TimesUp Data Collection Committee; and more. 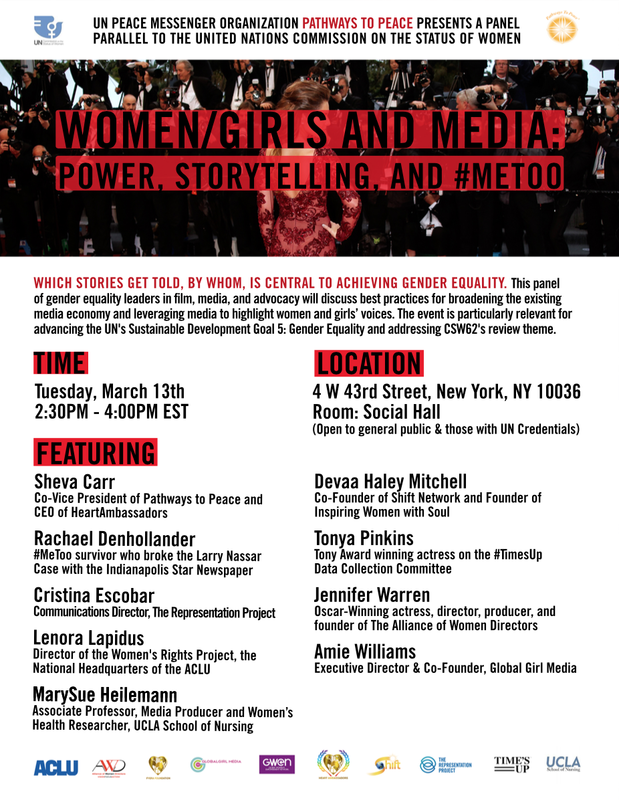 WHAT: The "Women/Girls and Media: Power, Storytelling, and #MeToo" panel will explore how which stories get told, by whom, is central to achieving gender equality. Members of the press can expect a lively discussion of best practices for broadening the existing media economy and leveraging media to highlight women and girls’ voices. 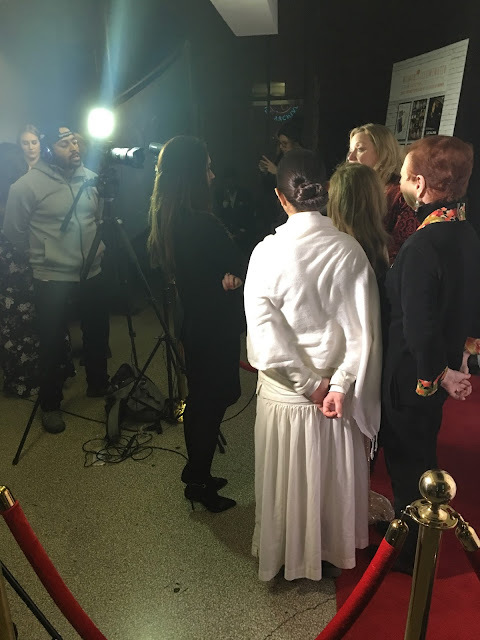 Immediately following the panel, press is invited to join speakers at a reception sponsored by The Shift Network, offering transformative programs, media, and events to help people awaken their potential. Learn more at TheShiftNetwork.com. Press interested in attending the panel, interviewing speakers, or attending the reception, must contact Shira at shira@therepresentationproject.org or 628-253-5204 to RSVP. and future is nothing more than a persistent stubborn illusion"
is as good as dead, and his eyes are dimmed." My studio is full of new paintings that will make their premier at Saatchi Art's The Other Art Fair. 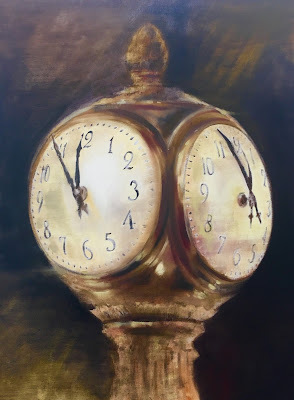 Time, movement, memory, and technology all weave their way into my artworks. Saatchi Art presents the Other Art Fair. 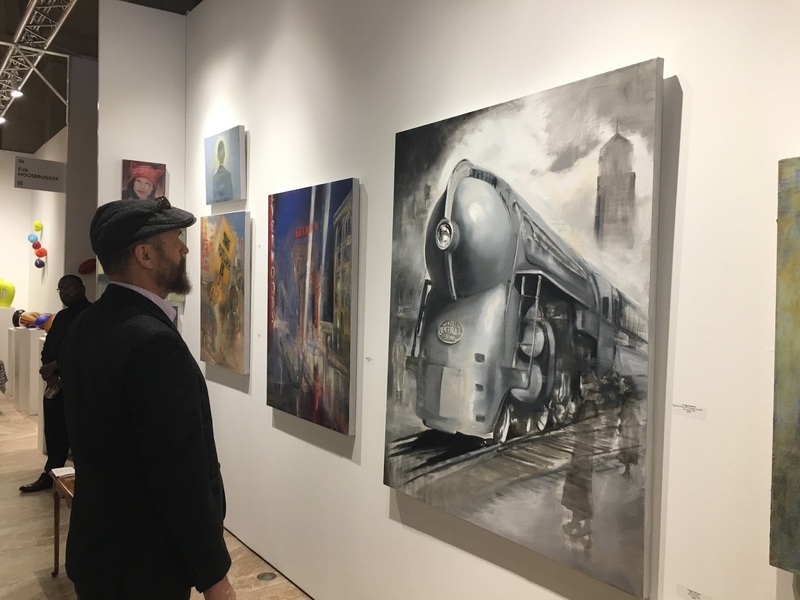 Making its debut at The Majestic Downtown, the Fair showcases work by 100 emerging artists, each hand-picked by a Selection Committee of art world experts. 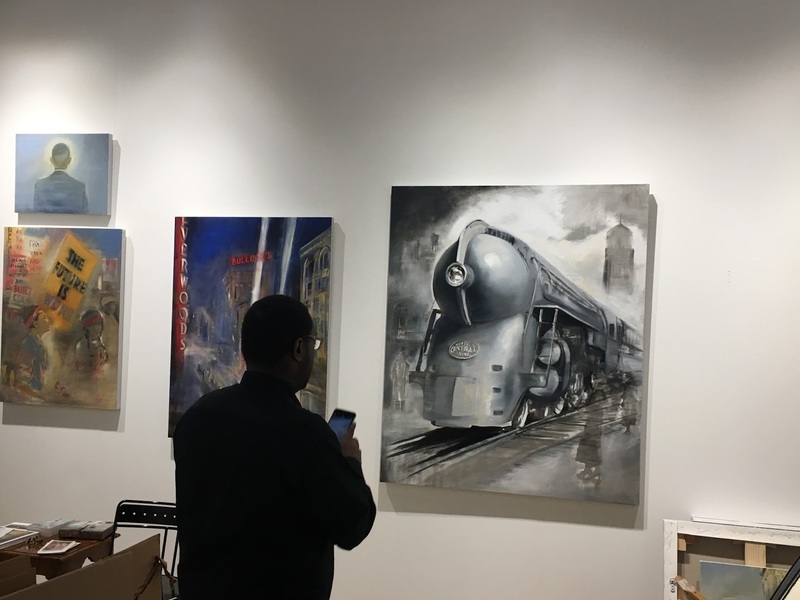 Artist Gregg Chadwick will be exhibiting a selection of artworks from his traveling exhibition Mystery Train, which examines the mythos of America as seen through the physical and cultural history of the railroad in the United States. The artist will also be featuring a new series of works that engage the viewer in the story of Los Angeles, reaching right up to the Women's Marches of 2017 and 2018. A new series of works on paper as well as small sized paintings will also be on view. Thursday, March 15: 6 to 10 p.m. Please enter your details at the link below to secure your complimentary Private Viewing ticket to The Other Art Fair. This Private Viewing invitation provides access to the fair between Thursday March 15 - Sunday March 18. You must RSVP before March 15, 2018 to register for the Private View.